Gerald "Beannie" Martin Cordrey Jr.
Obituary of Gerald Martin Cordrey, Jr. In addition to his mother, Mary Lou Grill and step-mother, Carol Cordrey, he is survived by his devoted wife of 38 years, Tillie Cordrey of Millsboro, DE; a daughter, Amanda Cordrey and her wife Jenna Sinnamon of Millsboro, DE; four sisters, Crystal Lambert (Randy) of Parsonsburg, MD; Tammy Mattei (Rod) of Snow Hill, MD; Sandy Humes (Tom) of Milford, DE; Karen Pennell of Frankford, DE; and one brother, Michael Cordrey (Angie Willman) of Millsboro. He is also survived by an “adopted step-daughter” Shanette White of Millsboro, DE; six nephews, Ryan Lambert (Kerri), Joe Mattei (Brittney Travers), Quinn Humes, Jacob McCabe, Jared McCabe and Justin McCabe, along with one niece, Anna Humes. Beannie also leaves behind numerous extended family members and friends. 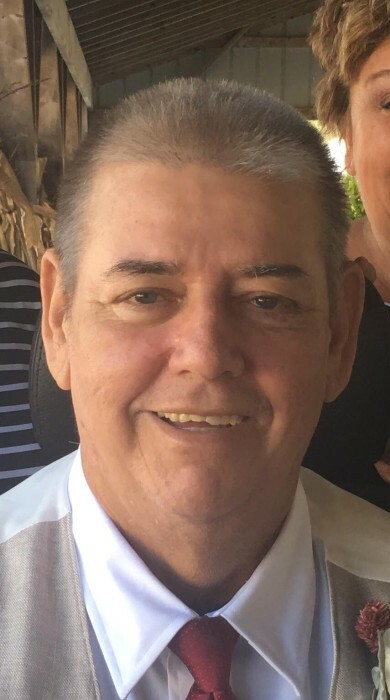 A funeral service and celebration of his life will be held at 1:00 PM on Friday, Febraury 1, 2019 at the Millsboro Fire Hall, 109 E. State St., Millsboro, DE 19966, where friends may call from 11 AM to 1 PM for viewing and visitation. Burial will be private. In lieu of flowers a scholarship fund is being established. More info to follow.